After a long run, a big day on the slopes, or anytime your muscles need a little bit of care, give yourself a quick massage with the Moji Curve Pro Massager. The four large stainless steel spheres roll freely in the rigid composite handle, making it perfect for rubbing down quads, hamstrings, or any large muscle group in need of some special care. 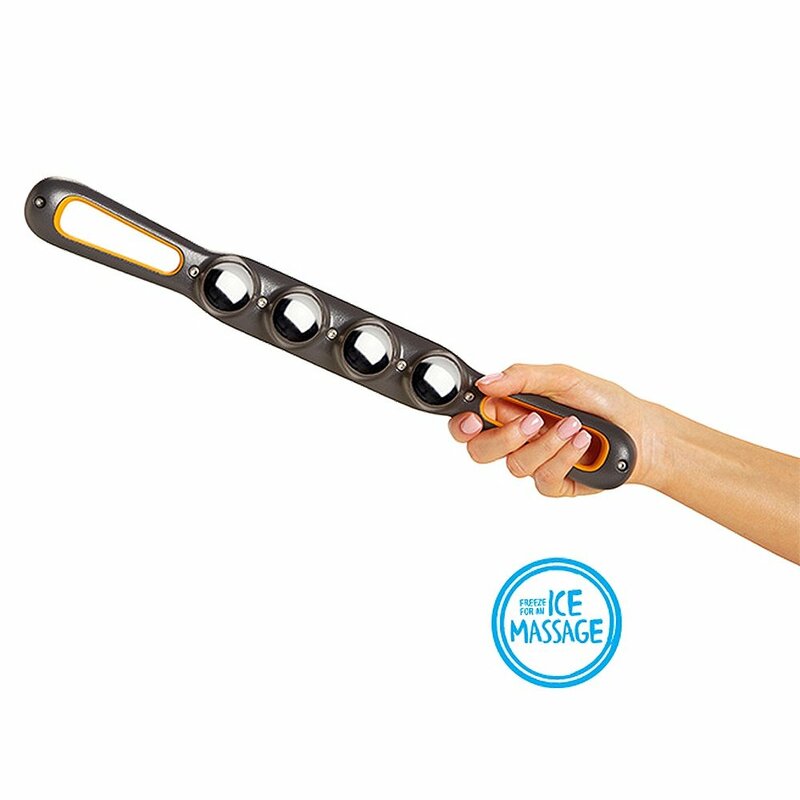 You can even pop the Curve Pro in the freezer and give yourself an icy rub down to put up an even more powerful response to muscle tension and soreness.